A Northern Ireland Audit Office report due to be published today raises serious questions as to how the Housing Executive allowed public land to be sold-off to “favoured” private developers at millions of pounds below the market value. Auditor General Kieran Donnelly will today publish a highly damaging report into the accounts of the Northern Ireland Housing Executive. However it is the Executive’s mishandling of millions of pounds in the sale of public land to unnamed private developers and more than £1m in overpayments to contractors which has left the public authority facing the most severe criticism in 40 years. The report comes just three days after the publication of another critical investigation into the Housing Executive’s management of maintenance contracts. 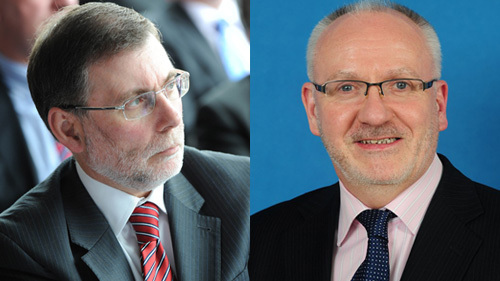 On Tuesday Social Development Minister Nelson McCausland accused the Housing Executive of failing tenants and taxpayers. Just hours before Mr McCausland’s public criticism, Housing Executive chairman Brian Rowntree announced his resignation, revealing in a memo to staff that DSD had not allowed him to read the critical report. Mr Rowntree cited his “challenging” relationship with DSD. The strained relationship between DSD and the Housing Executive is understood to relate to events surrounding the housing body’s decision to cancel a multi-million pound maintenance contract with the Red Sky group in April 2011 after the company was found to have overcharged the public agency by £500,000 for work which had never been carried out. The DUP, and Mr McCausland in particular, was publicly accused of putting undue political pressure on the Housing Executive to overturn its Red Sky decision. Mr McCausland later claimed a letter sent from Mr Rowntree at the time sounded like a “declaration of war”. “If someone declares war, I’m not going to back away from that,” the DSD minister declared. 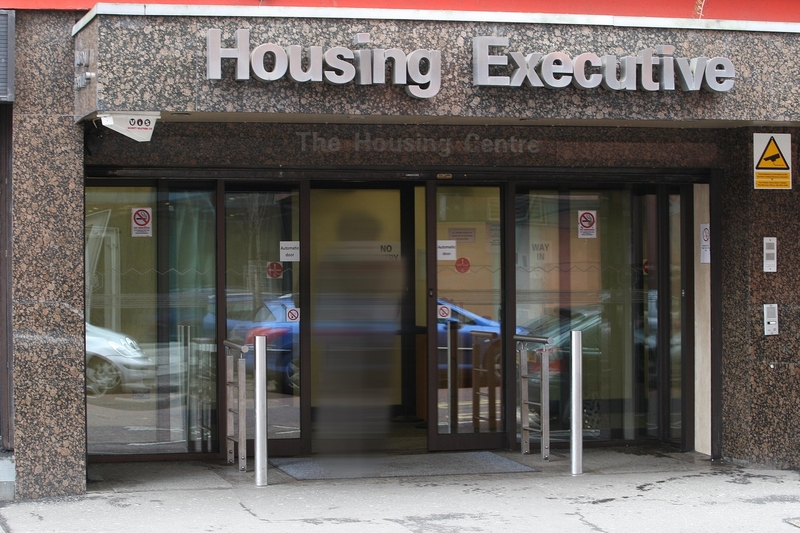 It’s been claimed that the decision to launch a series of subsequent investigations into the Housing Executive which have followed are directly linked to the fall-out over Red Sky. However today’s Auditor General report, with evidence of millions of pounds of public money being wasted, will be seen as delivering a potentially fatal blow to any Housing Executive hope that it can remain intact as Northern Ireland’s leading public housing authority. 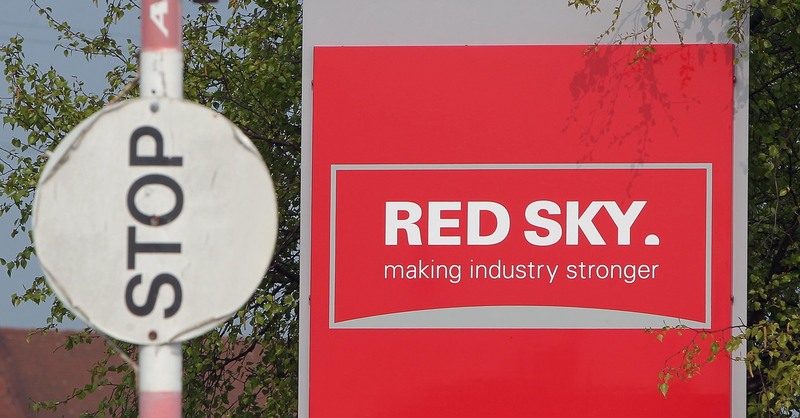 Despite last summer’s public furore, it has now emerged that weeks after cancelling the Red Sky contract, the Housing Executive paid £250,000 to a second contractor for work that had not been inspected. In May 2012 it subsequently emerged that the Executive had also overpaid the same contractor by another £240,000 over a three year period. The Auditor General said the overpayments could have been prevented if the Housing Executive had carried out proper inspections and then taken appropriate action. The Housing Executive gave an assurance that the £250,000 overpayment has now been recouped. Investigators found that contractors in a third maintenance scheme had overcharged by £500,000. The projects were managed by an unidentified agent on behalf of the Executive with a further £200,000 being spent on professional and legal fees. Auditors were informed the Executive is now attempting to recover an undisclosed amount in overcharging and that it will also now be investigating other schemes in which the unnamed agent had been involved. A series of “questionable” property deals were identified to investigators in which Housing Executive land was sold-off to favoured developers at prices well below the market value. Investigators found that some land sales were not brought to the Housing Executive board and its chief executive. In other cases information was deliberately withheld from the board. Six out of 10 land sales which investigators examined hadn’t received proper approval. Under government guidelines the Housing Executive is legally obliged to ensure that best value for money is obtained in the sale of any public land to the private sector. However an internal Housing Executive review of land sales between 2004 and 2010 identified 27 property deals which breached proper procedures. •	Favouritism towards buyers in most “off-market” sales with interest from other parties not declared or even considered. •	Land sold without proper, or in some cases, any valuations. •	Buyers allowed to negotiate reduced valuations. •	Valuations only obtained after approval had already been given for sale. Under the Housing Executive’s own guidelines land valued at more than £50,000 must be approved by its chief executive, while any sale of land valued at more than £100,000 can only go ahead with full board approval. However investigators found more than £8m of land was sold-off with only director’s approval. Even more alarmingly was evidence that the board and chief executive were asked to approve land sales without key information and, on some occasions, with information that was factually incorrect. To date 21 land deals have been investigated to consider whether they constitute fraud or misconduct. Three cases have been referred to PSNI, with a further 11 cases still under consideration. A Housing Executive spokesman said that the key findings of the report had initially been identified by the public body itself. The spokesman said the Executive took the issues raised by the audit report “seriously”. “We accept there have been problems and have been working to address these and will continue to do so.